Apparently, there is no case with the FBI at all. We still don't know much about what exactly happened between Angelina Jolie and Brad Pitt, but at least now we have an update on one of the more important components of their divorce: what's going on with their children. Following reports that Brad Pitt became verbally abusive and physical with the ex-couple's son, Maddox, after getting drunk on a private jet, TMZ reports that the FBI will not be investigating Brad Pitt regarding the alleged incident. According to TMZ, the investigation into the allegations began with the L.A. County Department of Children and Family Services. The LAPD was then notified, and they turned the matter over to the FBI. Sources told TMZ that the FBI never proceeded with an investigation as the matter shouldn't have been referred to them in the first place. TMZ says that the FBI are still gathering facts, but are not opening a formal investigation into the claims. The L.A. County Department of Children and Family Services has interviewed Brad and Angelina, but no further action has been taken. For now, Angelina and Brad have reached a temporary custody agreement, which gives Angelina full custody while Brad is allowed supervised visitation. 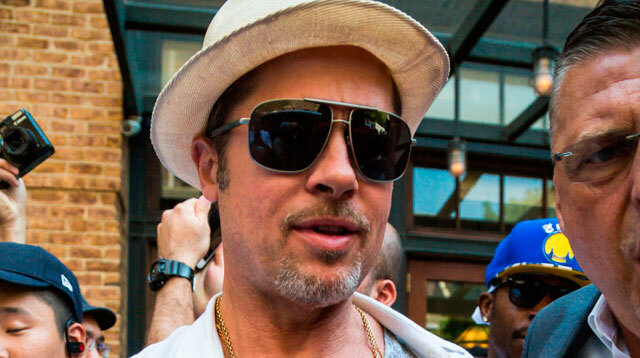 Reports say that Brad will also be required to voluntarily take random drug and alcohol tests. Here's hoping that whatever's going on between the ex-couple gets resolved quickly and easily, and that the health and happiness of Maddox, Pax, Zahara, Shiloh, Knox, and Vivienne continue to be the top priority.